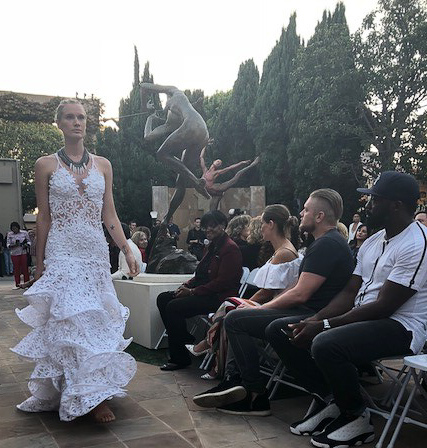 OC Fashion Week celebrated with several amazing shows in the elegant sculpture of the Dawson Cole fine art gallery in Laguna Beach. 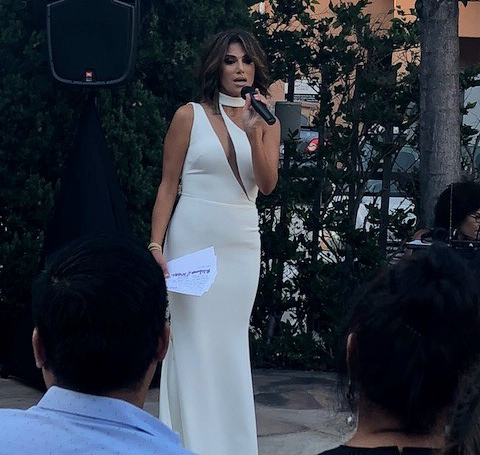 On Saturday night a glamorous crowd turned out for the line up of fashion designers presenting at OC Fashion Week hosted by Bravo’s celeb Peggy Sulahian, the 100th housewife and star of the reality show RHOC. She wore a couture gown by one of the designers presenting that evening named Nicole Bakti. The white dress was stunning with artful cutouts and a perfect fit. The night kicked off with cocktails in the gallery giving everyone a chance to mingle before the show. 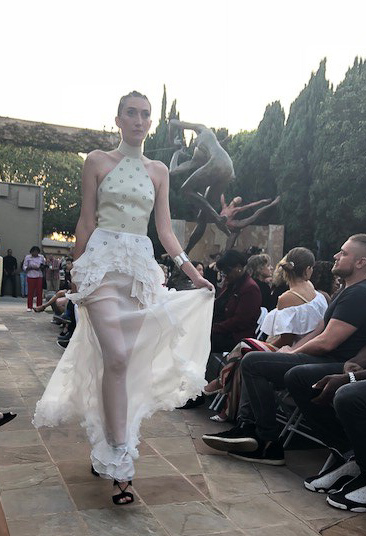 The first designer, Carolina Hernandez of Veteran Couture presented a Renaissance inspired collection and the crowd enjoyed seeing the elaborate pieces coming down the runway against the backdrop of the beautiful sculptress. There was something Parisian about the whole night as the sun set in Laguna beach. The designs were big and bold and perfect for fall because the color palette was mostly dark blues, purples and burgundies. The dresses had period details like capes and puffy sleeves. Our host praised the collection and impressive designs throughout the show. The second show by Coral Castillo also included pieces with intricate details but this collection was in more of a gothic style. The color pallet was mostly black and red, and some dresses were more casual giving off a punk rock vibe. Others were more-high end with heavy beading and cut out designs. The collection featured several creative zipper designs as well. 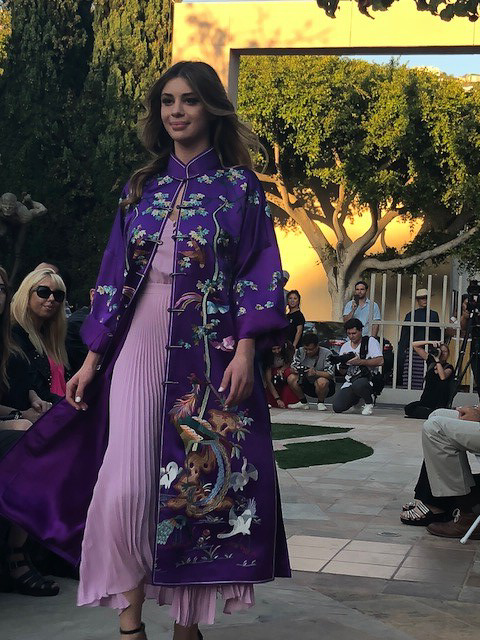 The third collection called PhoenixArt was an Asian inspired line featuring beautiful kimonos and intricate embroidery designs. It was very colorful with bright blues and pink and purple color combinations. 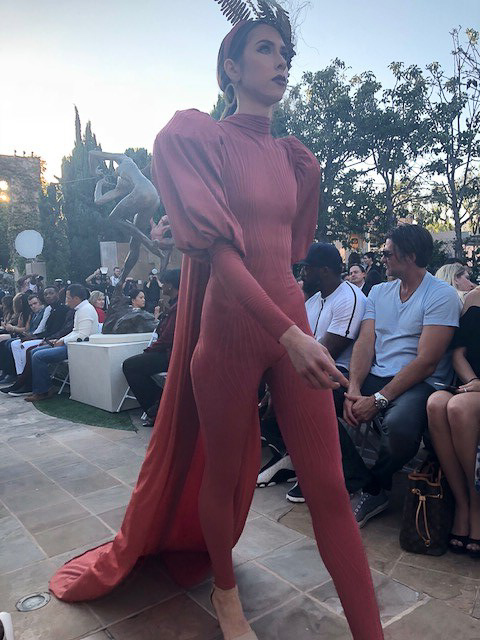 The crowd enjoyed seeing the unique styles and the line featured everything from loungewear to evening wear. 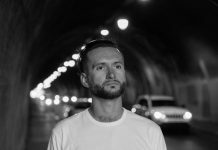 It was a great night full of amazing California talent and the best of Orange County style. 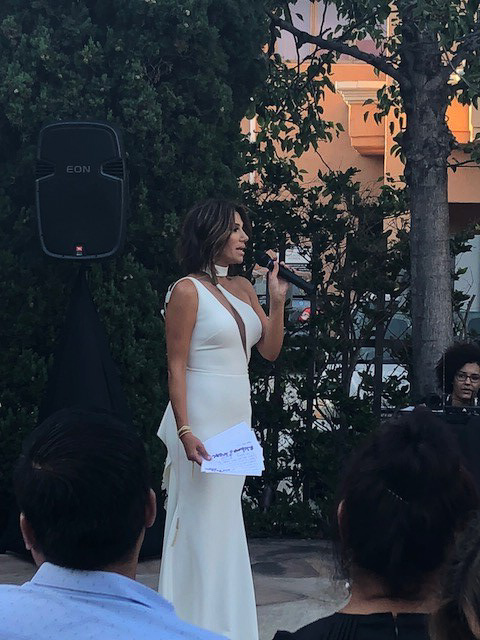 There were so many beautiful designs presented on the runway and the night was made even sweeter by the fact that a portion of the proceeds were donated to the Soccer for Hope charity. 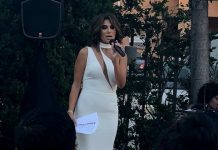 Everyone came out to support a great cause and get the latest update on what’s in style. 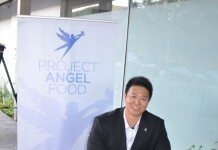 On Sunday the events continued with a special show hosted by ZO skincare at the World Peace Lake. The beautiful backdrop made for a perfect day of shows with more great designers and celeb attendees. Previous articleChuck Fries Celebrates His 90th Birthday in Grand Style!